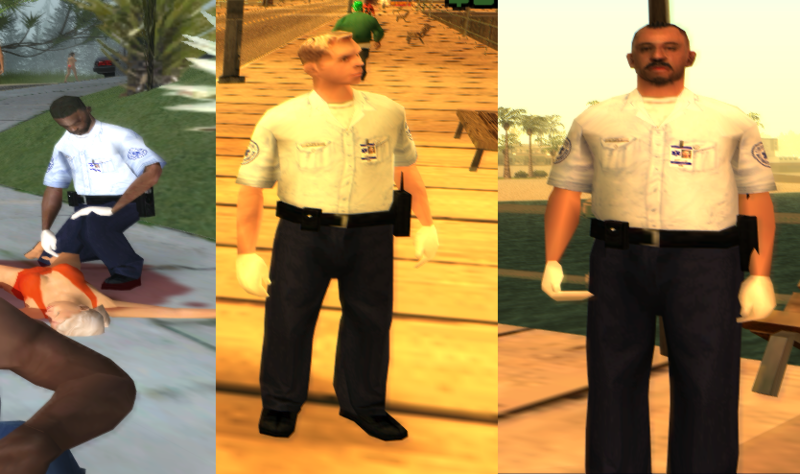 Tired of all the hipstery looking EMT skins that surface every now and then? Those skins that disregard regulations and make a joke out of the very same people that save our lives? Well suffer no more, for here I present: The run of the mill paramedics! - A handheld radio and a couple of pouches on his belt. - 3 heads, they cover the base game paramedics pretty nice. CREDITS: Dr. Dre, Rockstar Games*, Krystofer, Mario, me.